An event identity - recognising that one in a million person that made your day. A new identity for the bedroom. 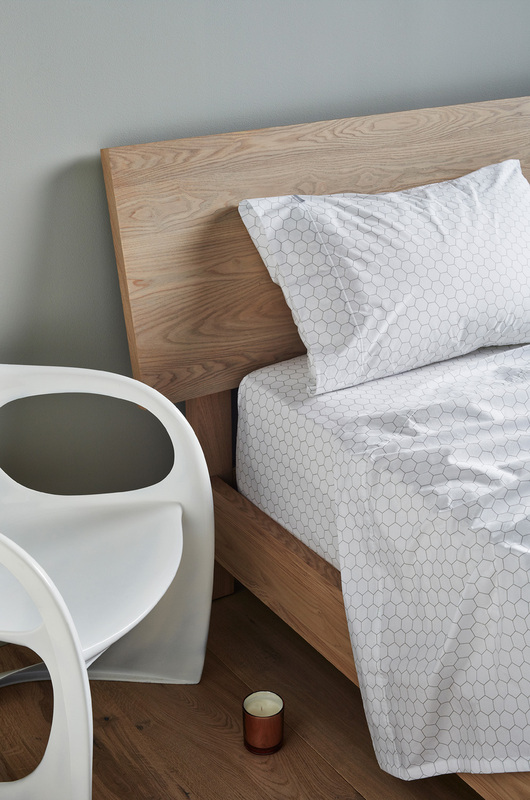 Simply beautiful bed linen - perfect for a modern home. 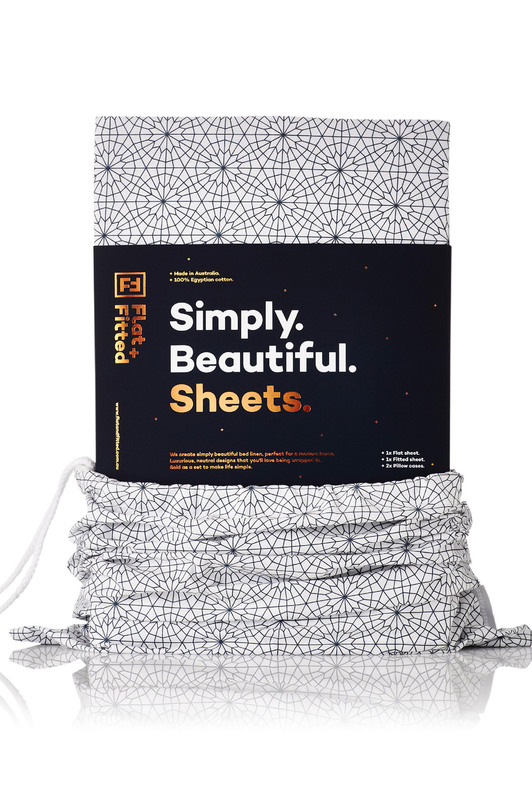 Flat+Fitted is a Melbourne bed linen company, who love the simple things in life. 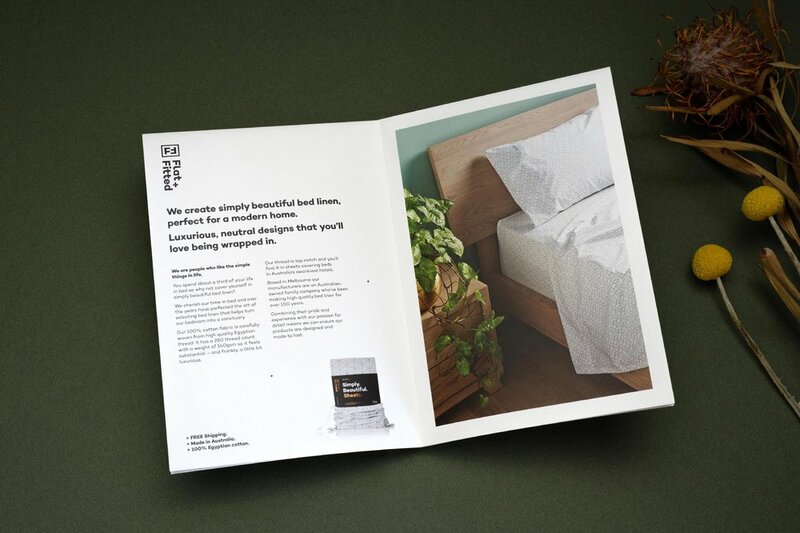 They create simply beautiful bed linen for grown-ups. 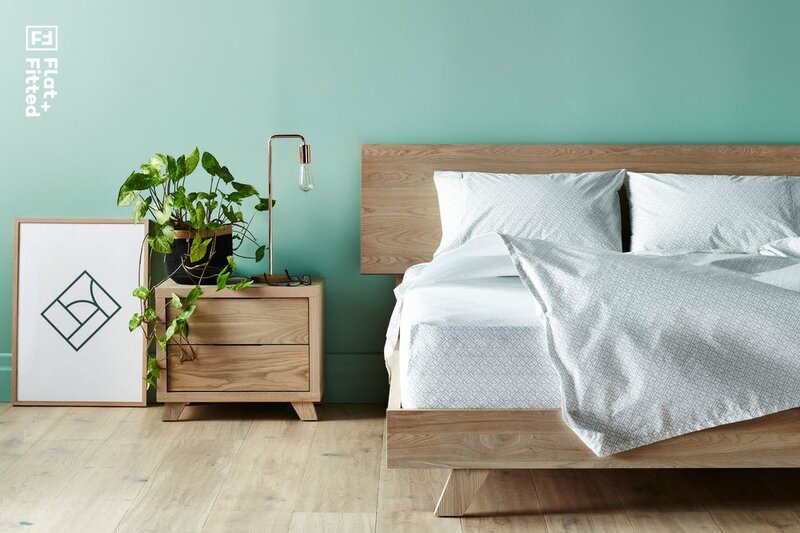 Hotel quality and made in Australia from 100% cotton, with unisex designs perfect for a modern home. The Flat+Fitted range of bed linen feature strong geometrical patterns to create a timeless, yet modern appeal, in trans-seasonal tones. 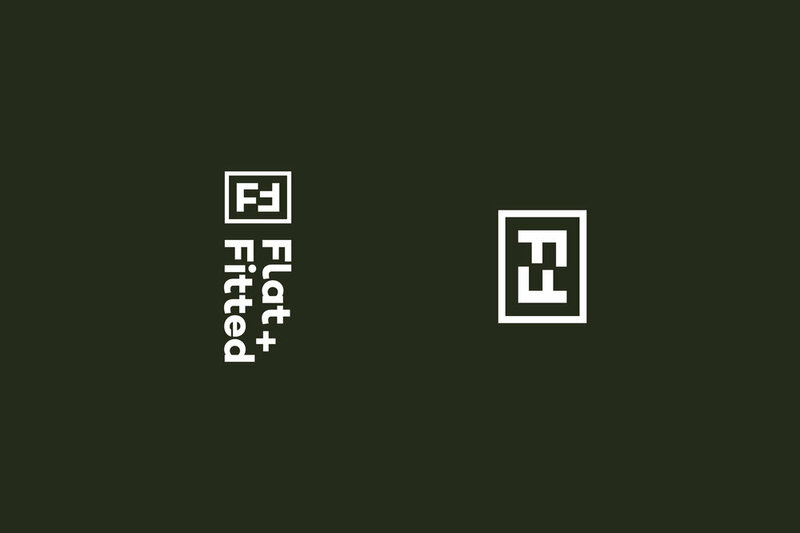 We helped the vision for Flat+Fitted come to life. 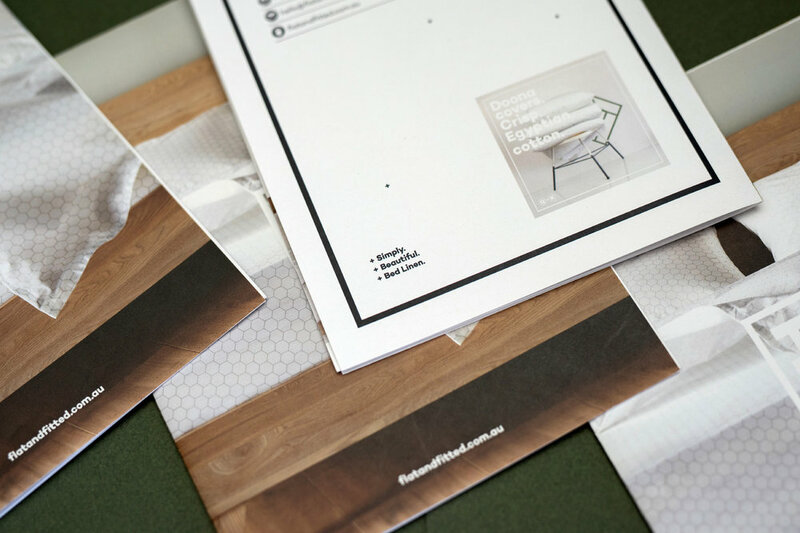 Channelling a sense of scandinavian-luxe, designing their brand identity and supporting communications. 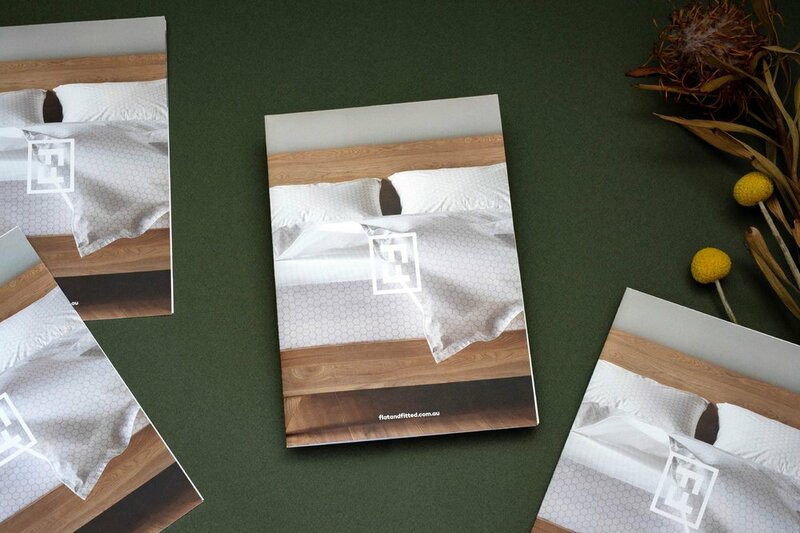 Every touch point needing to match the quality feel of the sheets and pitched perfectly for a modern bedroom.